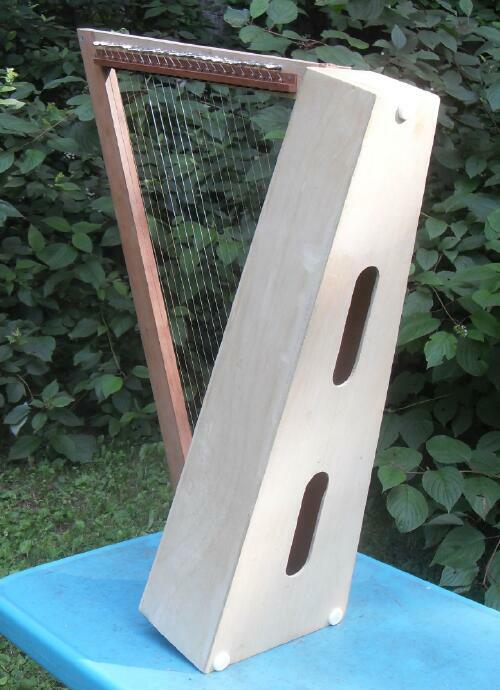 This article describes another simple Celtic harp I just completed. 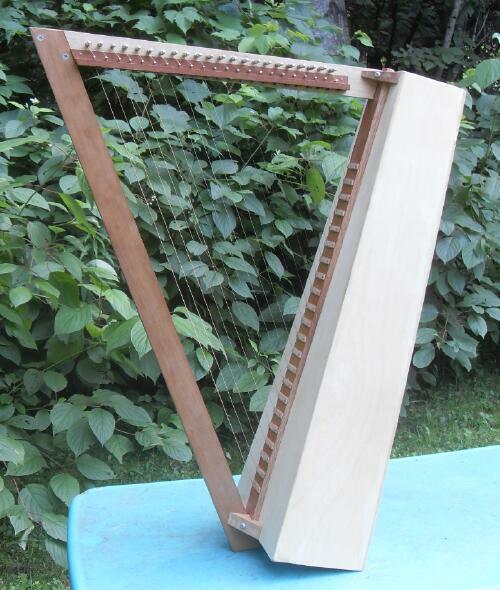 It has 22 wire strings and a nice sized wooden soundbox. 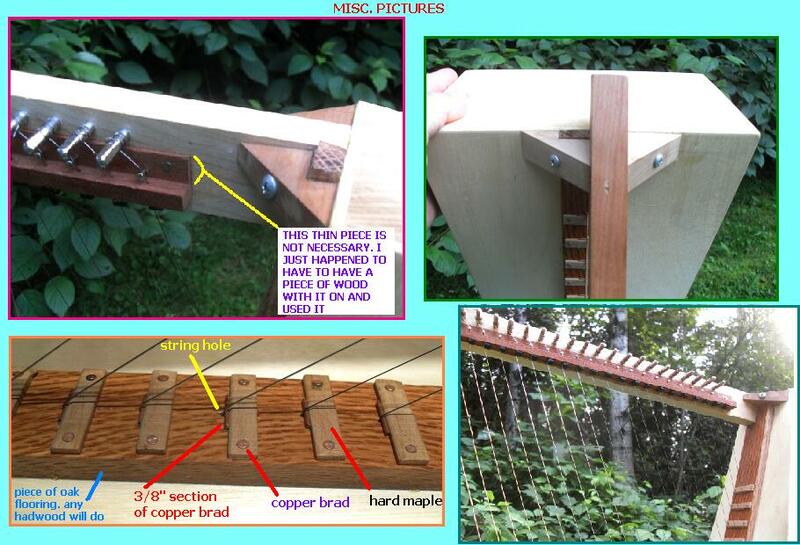 The photos and illustrations should show well how to build this harp. expensive - ie: a fat roll of .014 wire costs just over ten dollars. Let me know if you build one of these things! 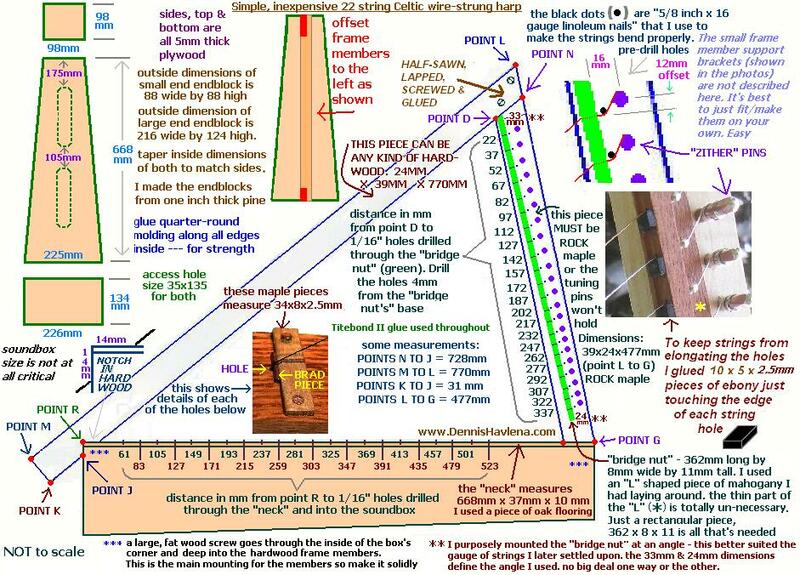 to build -- no curves to deal with etc. play. After a week or so everything stays pretty much in tune.